the perfect gift click here for further info! NOW INTRODUCIN﻿G KINDERBEAT & JUNIOR KEYS MUSIC PROGRAM FOR KIDS! Music Lessons that students love, where Music Talents Thrive to the Loudest Levels! Tired of your current teacher? Playing the same songs over and over? You will find they are still learning themselves! Did you ever ask yourself how good you could be on playing an instrument? Do you think you are too old to learn music? There is no such thing, you won't believe how fast you will learn music! What are you waiting for? 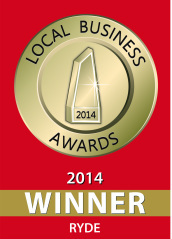 Start your music lessons in West Ryde NOW by calling 9545 5605! We guarantee your success in music! We operate from a spacious studio fully equipped and totally renovated in West Ryde - we are the Music School of choice for the Ryde Area & Inner west. High quality and experienced teachers with masters tutoring only one instrument they are experts on is our quality guarantee. Decibel Music School has always taken pride in providing the very best passionate and enthusiastic Music Teachers available Sydney wide and offering tuition in a variety of musical instruments and styles, exams or just for fun. Music Teachers at Decibel are Conservatorium trained not self taught, have developed skills with well known musicians and make learning a great experience. Decibel is located in 999B Graf Avenue, West Ryde, take action, start your music career today and Phone 9545 5605 now! Decibel Music School Gift Vouchers are now available, book lessons for yourself, a family member or friend now! 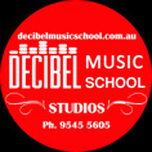 Decibel Music School in West Ryde has consistently set the highest standards in music performance. We have a team of highly educated and experienced teachers, who have graduated from the Conservatorium Worldwide and Sydney Conservatorium of Music, with Music Masters with Honours, Bachelor with Honours and Bachelors Degrees. Our teachers are highly qualified and experienced, making your learning much faster and efficient. Decibel Music School offers classes to children through to adults in all instruments, Decibels caters for the serious musician as well as students who wish to come just for fun! There are no self taught teachers or graduates, all teachers are highly qualified and focus on one instrument only, all West Ryde Music Lessons at Decibel are of high level, that is our quality guarantee. Achievements of our students range from AMEB (Australian Music Examination Board) Exams through to various competitions and Eisteddfods Sydney wide. Many of Decibel Music School students are now performing across Sydney and have launched lasting careers.